Australia has so much to offer for those looking for an active holiday. Remote walking holidays can be found in the Northern Territory, central Australia, South Australia’s Flinders Ranges and in the rugged Kimberley Mountains of Western Australia. Rainforest and wilderness walks in Tasmania's South-west, Freycinet Peninsula, the Bay of Fires, Cradle Mountain or St Claire. Also in Victoria are spectacular coastal walks such as the Great Ocean Walk or walks around Bright, Falls Creek or Dinner Plain in the High Country. Cycling holidays in Victoria's Goldfields or High Country, Rutherglen Wine region or along the Great Ocean Road. In Tasmania along the scenic east coast, around Adelaide or the Barossa Valley in South Australia. The Great Ocean Walk spans 91km of one of Australia's most spectacular coastlines. It follows a route of amazing coastal and forest scenery through the Otway Ranges and is an ideal way to see native Australian bird, marine and animal wildlife. The trail itself passes through two national parks, overlooks a marine national park and a marine sanctuary, yet sections will show you an isolation that only the Southern Ocean can offer. With a walking holiday often where you put your feet up in the evening can be as important as the spectacular sights experienced during the day. The lodge designed specifically for walkers is located at the mid point of Victoria's Great Ocean Walk, nestled in a natural rainforest amphitheatre just back from Johanna Beach. Architecturally designed, this purpose built haven has been developed to the strictest of sustainable design principles to provide comforts we know you will appreciate at days end. Five King bedrooms with en suites - all rooms can be configured as twin share or convert to two single rooms with share bathroom facilities between two. Guest lounge and private dining room. In-house catering and licensed dining room. Two dedicated massage treatment rooms - a half-hour massage is included in the tour. Five foot spas with aromatherapy oils. The walk starts at Apollo Bay - a popular summer resort town - then climbs up to the Cape Otway Light Station for an unforgettable view of the coastlines. This is the mid point of our walk and the next 2 days are spent walking west to the further most point you can see to the spectacular sea-stacks called the Twelve Apostles. With a choice of 3, 4 or 6-day walks there is something that will appeal to every interest and fitness level. Breathe fresh air, marvel at the power of the waves crashing on the cliffs, then stand on the edge of Ryan's Den, put your face to the wind and realise there is nothing but ocean between you and the wilds of Antarctica. Included: Return transfers from and to Melbourne CBD to join your walk, all meals, some wine with dinner (half a bottle per person per night), morning and afternoon tea, use of a weather proof jacket, gaiters, walking poles, water bottle and day packs, the services of our professional guides and entrance fees to any attractions we visit. Also included is a half-hour massage for each person per tour. Departs: Regularly from September to May. This four-day guided wilderness walk covers the entire length of the Freycinet Peninsula on Tasmania's east coast. Rise to the sights, sounds and smells of the Australian 'bush' and the sea, enjoy the spectacular vistas of the clear waters of the Tasman Sea, see the contrast of bright orange lichen on granite against pristine white beaches, hear the sound of seabirds and the waves crashing on to the shore, relish the warm honey smell of Kunzea in flower. This walk allows you to experience the challenge of a good days walk with the indulgence of having to carry no more than your lunch as you return each evening to our lodge for candlelit dinners, a hot bath and a comfortable bed. The highlight for many is the stunning accommodation at the award winning Friendly Beaches Lodge. Every aspect of the lodge and surrounds is purpose designed to have maximum comfort for the guests and a minimal impact on the environment. Friendly Beaches Lodge is set in blissful isolation among 130 hectares of private land surrounded by Freycinet National Park and is the only building on Friendly Beaches. Two accommodation lodges branch off from the main lodge with a collection of double / twin rooms. Both lodges contain a lounge area with fireplace, a bathroom with a claw foot bath, a separate shower room and two composting toilets. Explore a contemporary menu of exceptional quality; freshly prepared, healthy and with just enough indulgence. Enjoy local oysters plucked from the sea only hours before you eat them and try a range of Tassie's finest cheese and wines. Our Lodge Coordinators will make you feel at home and will help you unwind. The lodge is used exclusively for walking groups. Included: 3-nights Friendly Beaches Lodge accommodation with shared bathroom / toilet facilities, all transport from Hobart, meals (including wine with dinner), experienced and knowledgeable walk guides, park fees, rain jacket and day-pack hire. Maximum group size is ten participants (with two experienced guides & two Lodge Coordinators). The walk is organised so that people who are active will enjoy the trip. Walkers must be moderately fit and preparation before the walk is important. 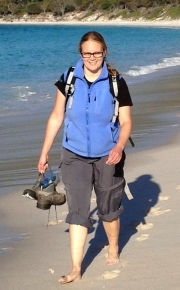 On the second day of the walk there is a choice between doing a challenging eight hour 16km walk to climb Mount Graham (579 metres above sea level) or choosing a more relaxed 12km route along coastal heath lands and fabulous beaches. On the third day, there is a 12km (approximately 6 hours) walk to Friendly Beaches Lodge from Bluestone Bay. Guests will walk between 36 - 40kms over the four days. The following tours are suggested itineraries that are available for groups of 4 or more travellers and can be arranged on any date that suits your plans. Variations or additional nights or specific types of accommodation and budgets can be catered for where the opportunities for choice are available. Of course these on demand tours are subject to availability of guides and accommodation. This tour explores the most beautiful walking areas of south eastern Australia. From the spectacular harbour city of Sydney we travel to walk in the Blue Mountains National Park exploring ancient rainforest, waterfalls, spectacular lookouts and a colony of glow-worms. We travel to Canberra to walk through the city parks and then to the Kosciusko National Park to walk through alpine meadows to the summit of Mount Kosciusko, Australia's highest point. We drive via the scenic Alpine Way to the Bogong High Plains in north eastern Victoria and walk through snow gum woodland and fields of alpine flowers to historic pioneer huts. On the Mount Buffalo Plateau, we walk through massive granite outcrops to waterfalls and view points before ending our tour in Melbourne. Included: Accommodation, all transport, most meals, wine, entry fees and guide. 7 Days | Easy/Moderate Grade | Farmstay Accommodation. The Flinders Ranges are a spectacular and rugged range to the north of Adelaide, a part of Australia's unique outback. They are traversed by the Heysen Trail, a long distance walking trail stretching over 1,500 kilometres through South Australia's best walking country. For our walks we select the most interesting and scenic sections, visiting historic mines and settlers ruins, Aboriginal rock carvings and cave paintings. We walk through deep gorges of red quartzite, under towering bluffs and to hidden springs and rock pools. We visit the crater-like formation of Wilpena Pound, an important feature in Aboriginal mythology, historic Blinman, and the ruins of Kanyaka Homestead. Sightings of euros, red kangaroos, emus and flocks of colourful parrots are common. We stay at an historic, outback, pastoral property and experience this very Australian lifestyle. We walk without packs and return to soft beds, hot showers and good food each night. This is the landscape that inspired Sir Hans Heysen, our most famous artist. Included: Transport (ex Adelaide), accommodation, entry fees, all meals, wine, and guide. Situated just off the South Australian coast, Kangaroo Island is world famous for its superb coastline, its prolific and easily observed wildlife and its wide range of endemic plant species and bushland habitats. It is still a wild and unspoiled place. Wildflowers are found in every season, and we can stroll along a beach which is home to a large breeding colony of sea lions: a truly unique experience. Our Kangaroo Island holiday combines visits to the island's major attractions and walking in this natural wonderland. From our comfortable farm accommodation we set off to walk along rugged cliff tops and pristine beaches. We visit Seal Bay, Kelly Hill Caves, walk along the South West River and to the dramatic mouth of Rocky River. We visit lonely, historic light-houses, the Remarkable Rocks and the incredibly tame native animals at Rocky River. On our travels we see Kangaroos, Tammar Wallabies, Emus, Echidnas, Koalas, the once endangered Cape Barren Geese, Possums and Fairy Penguins. Spotlighting animals at night is a special feature of this tour. Included: Transport (ex Adelaide), ferry, entry fees, accommodation, all meals, wine, guide. The Flinders Ranges have inspired artists since the first explorers traversed them in the 1840's. The shapes of the ancient ranges, the majestic river red gums and the ever-changing colours of distant hills and quartzite cliffs reflect the character of the Australian Outback. We stay in farm accommodation on a large Flinders Ranges sheep station, where Pat Waters will provide instruction. Pat has a degree in Fine Art Painting, thirty years teaching experience and is a practising artist who exhibits regularly in Melbourne and Gippsland. Together with her husband Mick she takes study tours to Europe and has also taken tours to Indonesia and within Australia. They have recently established the Briagolong School of fine Art in Gippsland, Victoria. Pat has a great love and respect for the Australian landscape and has worked with it for many years in her own painting, drawing and printmaking. These walks can be arranged on demand for groups of four or more. Easy/Moderate Grade | Accommodation Twin/shared motel rooms with en suite facilities. Stretching 420km northwards into the arid heart of Australia, the Flinders Ranges are famous for their rugged mountain scenery. They have the red and purple colours of the Australian Outback and some of the oldest rocks on earth; about 1400 million years old. There are rocky bluffs, tree-lined gorges, shady pools, majestic river red gums, and diverse flora. They are home to kangaroos, euros, wallabies, emus, colourful parrots, kites and eagles. The Aboriginal people have lived there for thousands of years and left rock carvings, cave paintings and stone implements. Their dreaming stories interpret the landscape in a mythical way. This tour explores two quite different parts of the Flinders. Wilpena Pound is a huge basin-like formation in the heart of the Flinders. It was formed by massive folding of the earth's crust, and now dramatic cliffs of red sandstone surround a flat park-like woodland of native pines and river red gums. The Aboriginal people have important dreaming stories about Wilpena Pound. To the north, Arkaroola - Mt Painter Sanctuary is the most rugged part of the Ranges! Here, volcanic rocks mix with sedimentary, creating granite peaks, deep ravines, and beautiful waterholes which attract the desert wildlife. It is rich in Aboriginal culture and mining history. The Ridge Top Tour in specially constructed, open-top, four wheel drive vehicles, is one of the most rugged and spectacular journeys in the world. Each year we have a few people who want to join us on a trip into this rugged, northern part of the Flinders Ranges. It is rough, rocky walking, but very spectacular. The area is dominated by the red quartzites of the Gammon Plateau which is cut by the spectacular gorges we will be exploring. In this arid region, these deeply shaded chasms contain precious waterholes and can support lush fern grottoes. The ranges are of great significance to the Adnyamathana people who still live in the area and we will do a bush-tucker walk and have a traditional meal with the people at Iga Warta. It is a powerful experience and an excellent introduction to the area. This is a vehicle-supported camping trip and we only carry day packs while walking. The plan is to walk into Bunyip Chasm, McKinley Springs and the beautiful Weetootla Gorge where we look for the rare yellow-footed rock wallaby. We will also explore the large gallery of Aboriginal rock carvings at Chambers Gorge. If you enjoy rough, isolated walking and want to explore a very rewarding part of the Flinders, ask us for details. Included: Transport (ex Adelaide), camping equipment, entry fees, all meals, wine, guide. Join us for three days of spectacular walking across the beautiful Fleurieu Peninsula. Beginning on the pristine beach of Myponga, we ramble through native bush, forest reserve and green farmland on our way to Encounter Bay. Following South Australia's premier long distance walking trail, The Heysen Trail, and quiet back roads to walk from "coast to coast". We carry only day-packs. Your luggage is transferred while you walk. Included: All transport (ex Adelaide), accommodation, meals, wine, support vehicle, guide. Hidden Gorge lies in the Mount Remarkable National Park, amidst some of the most spectacular scenery in the lower Flinders Ranges. It is a small rugged area cut by the Alligator and Mambray Creeks, which have eroded deep, spectacular gorges into the red quartzite. There are towering red cliffs, secluded waterfalls, ferns, groves of native pines, sugar-gum forest and ribbons of mighty river red gums along the water-courses. Picturesque waterholes attract native birds and the rare yellow-footed rock wallaby. The diversity of habitats supports a greater abundance of wild-flowers than found in the central and northern Flinders. This tour is an easy introduction to pack carrying with one whole day being pack free while we explore the narrow chasm of the Hidden Gorge. You only carry a moderate pack for about 2.5 hours on the first and third days. South Australia has long been recognized as the wine state of Australia. Much of this reputation is based on the wineries, large and small, of the Eden, Clare and Barossa Valleys, the foci of our five day tour. Now these areas have gained a high reputation for fine food as well. There is excellent local produce, award winning restaurants and cafes, and in the Barossa, a long tradition of excellent German-style food. There are also historic towns, National Trust properties and excellent craft galleries to visit as we cycle through picturesque rolling countryside, and along parts of the Riesling Trail, a disused railway which is now a cycle track between wineries. This is our top of the range cycling holiday in the food and wine centre of South Australia. The terrain is moderately undulating, the countryside beautiful, roads are mainly paved and there is a huge range of historic wineries producing outstanding red and white wines. We stay at beautiful heritage listed properties. Our support vehicle accompanies the tour group, collecting your purchases and allowing you to rest if you wish. The cost also includes premium accommodation, dinners in the best local restaurants, gourmet picnics in beautiful locations, guide, support vehicle and pre-booked wine-tastings. Picturesque and gently rolling countryside, quiet roads and small wineries making superb red and white wines make this an ideal cycling area. Taste wines made at the historic Jesuit monastery at Sevenhills, in the beautiful Watervale and Polish Hill areas, and have lunch at a winery bistro. Visit Mintaro heritage town and the grand 'Martindale Hall' and ride along 'The Riesling Trail', a dedicated walking/cycling route along an old railway line linking award-winning wineries. Included All transport, gourmet meals, accommodation, pre-booked wine-tastings and guide. Australia's largest and most famous wine region, the Barossa combines excellent wine, fine food, beautiful scenery and a fascinating German heritage. The region was settled by German immigrants in the 1840s and their traditions are still evident in the towns and in the culinary treats provided by bakeries, wurst shops, wineries and restaurants. The terrain is gently rolling and very beautiful. We visit wineries built like grand châteaux, and boutique winemakers. Tour historic Seppeltsfield and stop at galleries, museums and craft shops. Our evening meal is in one of the best Barossa restaurants. Included All transport, gourmet meals, accommodation, pre-booked wine-tastings, support vehicle and guide. Two day Barossa Cycling Tours are available on request for groups of 4 or more. Contact us for details on 1800 331 582. Join us for a beautiful ride around this unspoiled island, famous for its wild-flowers, wildlife, and spectacular coastline. We traverse quiet roads to secluded coves, sheer cliffs and pristine beaches. We visit isolated lighthouses, Admirals Arch, the Remarkable Rocks, and walk among the basking Australian sea lions at Seal Bay. Fully accommodated in a farmstay where we go spotlighting for native animals. Included All transport, accommodation, meals, ferry, entry fees, support vehicle and guide. From Adelaide we travel to the Arkaroola Wilderness Sanctuary in the Northern Flinders Ranges where we take a day to explore this ancient and unique outback landscape. We walk to isolated waterholes to spot rare and beautiful yellow-footed rock wallabies and travel in a modified four-wheel drive on the Ridge Top Tour, one of the most spectacular and rugged tracks in the world. For 3 days we ride remote outback tracks through national parks and station properties. Arriving at Iga Warta, we are guests of the Adnyamathana Aboriginal people. We take time to hear their creation stories (Dreamtime), visit art sites and enjoy a traditional Aboriginal meal. Travelling southwards we explore Brachina Gorge and walk into Wilpena Pound. Take a scenic flight over this rugged landscape if you wish. We return to Adelaide via the Clare Valley wine region to cycle the Riesling Trail and sample excellent red and white wines. Included: All transport (ex Adelaide), accommodation, camping equipment, meals, entry fees, support vehicle and guide. These rides can be arranged on demand for groups of four or more. When the snows melt, Victoria's Bogong High Plains become a wonderland of mountain streams and alpine wild-flowers. The mountain air is cool and fresh; the mountain scenery is spectacular! Our tour is based at a modern ski lodge and each day we set out to explore a different part of this mountain grandeur; returning each evening to hot showers, gourmet meals and soft beds. We hike through shady forests, across alpine meadows, into snow gum woodlands and visit picturesque huts built by the pioneer cattlemen of the High Plains. In the evening you may try trout fishing, play tennis or relax in the lodge lounge. Included: Transport, twin/share accommodation, all meals, wine, entry fees, and guide. Encounter mountain history and a wonderful array of wild-flowers on easy walks into several old cattleman's huts on the Bogong High Plains. The oldest, Wallace's Hut, dates back to 1889 and is classified by the National Trust. These rustic old buildings in their settings among snowgums, provide fascinating destinations for our walks. Walk with day packs only; no big climbs but fantastic views. 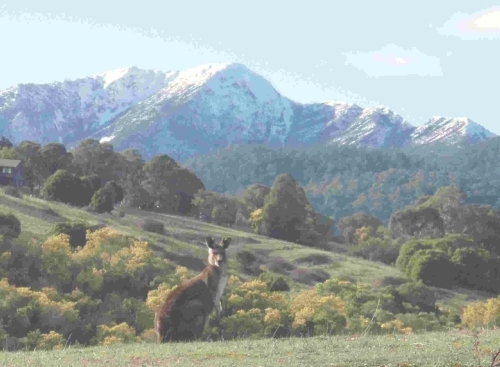 A great introduction to the Alpine National Park. We stay in a comfortable lodge in Falls Creek. Included: Transport (ex Melbourne), twin share accommodation, all meals, entry fees, guide. One of Australia's best summer walks! Enjoy 360 degree views as we traverse Victoria's three highest peaks located in the Alpine National Park. An area of outstanding natural beauty with lush fern gullies, tall alpine ash forest growing to 80 metres, and above the snowline, carpets of wild-flowers and the sculptured forms of ancient snowgums. Historic cattleman's huts, bubbling streams and tiny waterfalls punctuate our route. Packs are carried on this tour, but pack weight is kept minimal (about 12kgs), as we collect extra food at our lodge nights en route. Walks average 15km per day. 3 nights lodge accommodation, 4 nights bush camping. Included: Transport (ex Melbourne), accommodation, camping equipment, all meals, wine, all entry fees, and guide. The beautiful Grampians rise abruptly from the surrounding plains of Victoria's western districts. Their rock formations, towering cliffs, and the diversity of their flora and fauna have attracted visitors and walkers since the 1860s. Alternating high rocky ridges and wooded valleys have created a wide range of habitats. 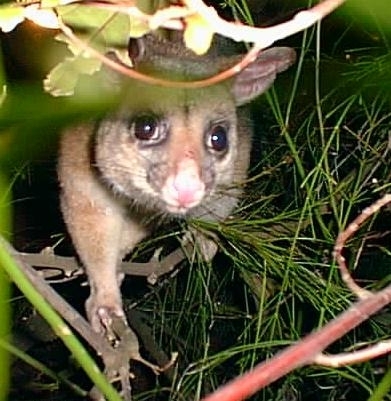 The park contains almost one third of Victoria's native flora species, many of them endemic and endangered. There are also over seventy known sites of Aboriginal rock art in this area that the indigenous people call Gariwerd. Our tour explores a different feature each day; the fantastic rock formations of the Wonderland, moist and shady fern gullies and waterfalls. We spend one day walking up to one of the best look-outs in the area and another day walking to some of the Aboriginal painting sites. We see kangaroos, koalas, possums, colourful bird-life, and wild deer. We stay on a pastoral property in the picturesque Mafeking Valley, scene of the last gold-rush in Victoria in 1900. This tour may be joined in The Grampians. Included: Transport (ex Melbourne), accommodation, all meals, wine, entry fees and guide. The Great Ocean Road is one of the world's great scenic highways. It has surf beaches, secluded coves, rain forests, tall eucalypt forests, waterfalls and lush farmland. There are famous landmarks like the Twelve Apostles and Loch Ard Gorge; pretty fishing villages at Apollo Bay, Port Campbell and Port Fairy, lighthouses and the shipwreck coast. We travel by bus from Melbourne to Torquay to start exploring this beautiful region and travel by bus and bike westwards to Port Fairy and the extinct volcano at Tower Hill. Our bus takes us northwards to the Grampians, an ancient sandstone range with wide valleys and huge cliffs. It is a floral paradise populated by kangaroos, koalas and colourful parrots, and there are some thrilling descents for cyclists. Included: All transport, accommodation, meals, entry fees, guide and support vehicle. Cycle the best of this inspiring coastal road and really experience its diverse environments while learning about the area's rich maritime past. We visit historical lighthouses, walk in pristine rainforest and cycle into an extinct volcano. Our support vehicle will carry you up some of the toughest sections, allowing you to enjoy the spectacular descents. Cycling is between Anglesea and Port Fairy. Return to Melbourne is via a scenic train journey. Included: All transport (ex Melbourne), accommodation, meals, entry fees, support vehicle and guide. The Victorian High Country! The perfect place for a summer bike riding holiday. We explore the high roads of the Alpine National Park, the Bogong High Plains, and nearby valleys without long arduous climbs. You cycle the long exhilarating down hill runs, the flatter valley bottoms and High Plains traverses. Our vehicle lifts you and your bike on the climbs. The scenery is superb! There are true mountain panoramas and the alpine environment is delightful. There are tall alpine ash and sculptured snow gum forests, rolling alpine herb fields, snowgrass plains, ferny gullies and summer wild-flowers.There are relics of the gold-rushes and rustic huts of the pioneering mountain cattlemen. Our route takes in the Mt. Buffalo Plateau, Ovens Valley, Mt. Hotham to Omeo Road (downhill), Falls Creek to Mt. Beauty Road (downhill), and Tawonga Gap to Bright (downhill). We stay in hotels, cabins and ski lodges with luggage transported by our backup vehicle. Included transport (ex Melbourne), all meals, accommodation, entry fees, guide and support vehicle. This is a tour close to our hearts as it is here that Outdoor Travel is based. North Eastern Victoria is an area of great scenic beauty and historical interest. It also produces fine food and excellent wines and has been designated a Gourmet Region. Our Gourmet Cycling Tour explores picturesque valleys, charming old towns from the gold rushes of the 1800s, scenes of bushranging history, National Trust and heritage-listed properties. We also experience the best food and wine at the region's best restaurants and have pre-booked tastings at famous wineries. We stay at award-wining heritage accommodation. This tour visits Milawa, (famous for cheeses and mustard as well as King Valley Wines), Beechworth, (Victoria's best-preserved gold town and scene of much of the Kelly Gang drama), the delightful gold towns of Yackandandah and Chiltern, and finally to Rutherglen, where gold mining has given way to wine making. This is our top of the range cycling holiday to this beautiful Gourmet Region. It is also our longest running tour. It will be enjoyed by everyone who enjoys the good life. Included premium accommodation, dinners in the best local restaurants, gourmet picnics, guide, support vehicle and pre-booked wine-tastings. Join us in the Autumn or Spring for these leisurely weekends of great wine, fine food and easy cycling. Rutherglen was formerly a gold field and now produces superb wines. Visit the region's most interesting wineries - the smallest and the largest, to enjoy private tastings and gourmet lunches. Explore Rutherglen's great history and heritage and taste the world's best 'sticky' wines (muscats and tokays). 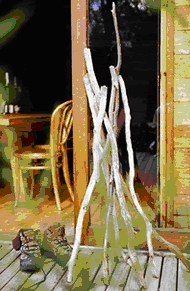 Accommodation is in a grand old hotel or a motel on the banks of the River Murray. Tour meets in Rutherglen (or Melbourne and Wangaratta by prior arrangement). Included Two nights accommodation, all meals, guide, pre-booked wine-tastings and support vehicle. This is Australia's highest alpine region and the mountain views are unsurpassed! We stay in a modern ski lodge in the picturesque Thredbo Alpine Village and walk each day in the Kosciusko National Park. There are hundreds of kilometres of walking tracks to choose from, taking us through expanses of alpine wildflowers, to glacial lakes perched high in the ranges, through snowgum woodland and wooded valleys. We will discover historic huts and mining relics, streams and cascades, and areas of spectacular outcrops. One path will take us to the summit of Mt. Kosciusko, Australia's highest at 2228 metres. Rugged, yet fragile, this is one of our most important and beautiful National Parks. Included: Twin share accommodation, all meals, wine, entry fees, guide and local transport. The Blue Mountains provide some of the best day walking in Eastern Australia. The choice of well maintained tracks is excellent. Ecologically rich and diverse, there are also links to Aboriginal history and European settlement. Over millions of years, major rivers have carved deep valleys, sheer escarpments, and sculptured rock. Our walks take in the famous look-outs of the plateau-edge, valleys of superb eucalypt forest, narrow canyons and the deep ferny shade of rainforest. We walk through the Blue Gum Forest, explore the Valley of the Waters, the fascinating Glow Worm Tunnel in the Wolgan River valley, take afternoon tea at the Hydro-Majestic, visit the home of Norman Lindsay, walk to magnificent waterfalls, and the Three Sisters. We visit some of the fabulous private gardens at Mount Wilson and the Botanical Gardens of Mount Tomah. Our tours are scheduled to see either the glorious autumn colours or the spring wildflowers and massed rhododendrons - definitely the best of the Blue Mountains. Accommodation is in a comfortable guest house or lodge. Included: Transport (ex Sydney), accommodation, all meals, wine, entry fees, and guide. This tour combines touring to Tasmania's most beautiful scenery, with walking in the Island's best walking venues. Starting in Launceston, we explore the dramatic Cataract Gorge before travelling to Cradle Mountain - Lake St. Clair National Park. It protects some magnificent alpine scenery with numerous lakes and mountain peaks. We select the best walks including a section of the Overland Track - one of Australia's best known walking routes. We travel though rain forest to the West Coast town of Strachan and via Queenstown to Mt. Field National Park, the oldest and most popular in Tasmania. The Tarn Shelf walk is outstanding! We travel into the rugged South West to Strathgorden and walk a rain-forest trail, visit the famous Salamanca market in Hobart and walk in the historic settlements of Richmond and Port Arthur. The tour ends in Hobart which has easy onward connections. Included: Twin share accommodation, all transport between Launceston and Hobart, entry fees, most meals, and guide. Want help in finding you way around Australia? Try - >Travel Mate Mapmaker. Simply enter the place you are leaving from and the place you are travelling to and it will generate a map along with driving directions.